P.S. Good news, they won't be commenting on Mackay again so he can relax now! With friends like this, who needs enemies? The LMA apologises for some of its wording, in its release yesterday, which was inappropriate and has been perceived to trivialise matters of a racist, sexist or homophobic nature. That was certainly not our intention. It is beyond argument that any comments that are discriminatory, even used in private, are totally unacceptable. The LMA remains absolutely aware of our responsibility to the game and to promote and uphold the highest standards of behaviour. The LMA will not be commenting further on the allegations relating to Malky Mackay whilst the FA conducts its investigation, other than to repeat that both the LMA and Malky will be cooperating fully. We will continue to work with all of the game's stakeholders to address the important issues of respect and discriminatory behaviour in all its forms. Hapless LMA excuse casual racism if you're an under pressure manager! The LMA have issued this statement on behalf of Malky Mackay in the wake of Crystal Palace's U-turn on offering him their manager's job. Read for yourself, but I think they've made a howler in the third paragraph. How dare the LMA blame pressure of work or sheer number of communications to excuse prejudice. There IS NO excuse for prejudice or racism - at all. Period. The LMA will now have to issue a statement of apology for this statement of apology! Kick It Out! THE LMA wish to clarify the position in relation to recent reports and speculation regarding matters alleged to have arisen during Malky Mackay’s time at Cardiff City FC. In the course of a search by the Club in early 2014 of 10,000 private text messages sent to and from another member of staff during Mr Mackay’s employment at Cardiff, in relation to other matters, it emerged that Malky had, it seems, sent a couple of one line texts that were, with the benefit of hindsight, very regrettable and disrespectful of other cultures. These were two text messages sent in private at a time Malky felt under great pressure and when he was letting off steam to a friend during some friendly text message banter. 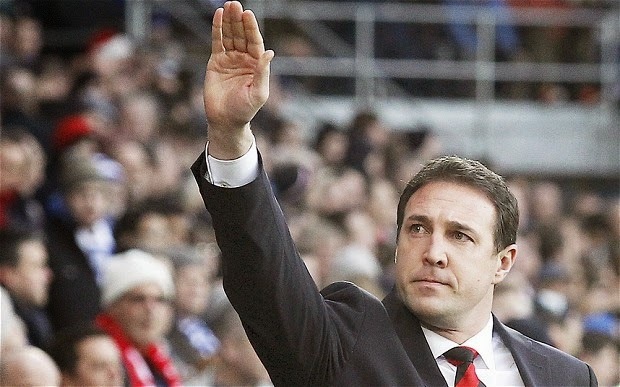 That said, Malky believes he could and should have conducted himself better on these two isolated occasions. The precise details need to remain private for the time being until any FA process is complete. The LMA does not condone in any way any potential breach of equal opportunities laws but would also point out that out of over 10,000 text messages and 70,000 documents produced over a long period of time it may not be a complete surprise that some inappropriate comments can sometimes be made by employees, like Malky, working under great pressure in highly charged situations. If Malky has caused any offence by these two isolated matters he would, however, wish to sincerely apologise. Malky finds it strange that these matters were only raised with the FA and in the media now, 8 months after his employment ended and the day before he was reported as being offered the opportunity to become manager of Crystal Palace FC. Malky is also very concerned about seriously inaccurate and misleading reports of his alleged involvement in these matters in the media. It has never been alleged that he wrote any homophobic or sexist messages and he has confirmed that he did not do so. Further, there are incorrect and damaging suggestions that he sent a whole host of offensive and unpleasant messages that are simply not true and which give a grossly distorted and unfair view of Malky’s involvement in this matter. Malky looks forward to matters being put straight in due course, following any investigation of this matter. Malky cannot of course comment on the nature of any conduct or communications alleged to have been made by others. Malky has said that he will be fully co-operating with any FA investigation and that he looks forward to putting the record straight thereafter. I revealed on Twitter that Aston Villa were actively looking for a new CEO, to replace the departed Paul Faulkner. Meanwhile, my fellow Villa supporting friend, Howard Hodgson had a unique insight into why Randy Lerner changed his mind about selling the club. So I thought, let's put a chat down on tape. Here it is!